When Yamilee Toussaint noticed she was one of only two black girls in her mechanical engineering program at MIT, it became clear to her that young girls of color need more encouragement to pursue careers in science, technology, engineering, and math. 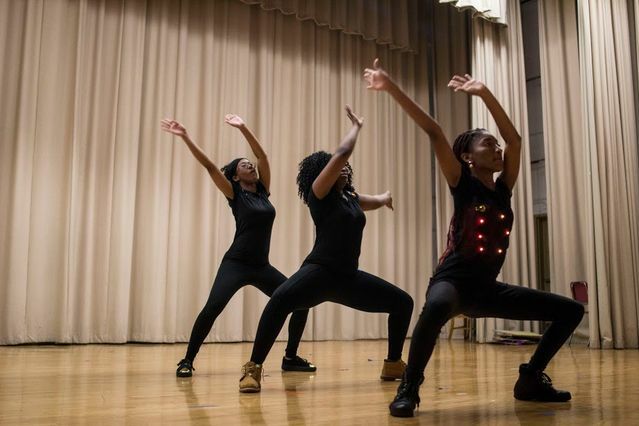 A few years later, she created STEM From Dance, a nonprofit dance program in NYC designed to expose Black and Latina middle school girls to jobs in the STEM fields. This summer, Toussaint launched an inaugural summer dance camp called Girls Rise Up, taking place in Brooklyn, New York. The program supports and encourages 75 girls as they craft dance routines that integrate software and engineering principles. We talked to Toussaint about how her program is transforming young girls’ mindsets. How do STEM From Dance and Girls Rise Up work? What motivated you to launch a camp program this summer? 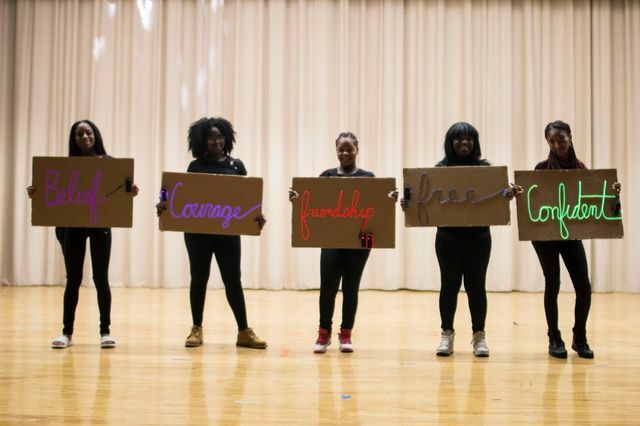 STEM From Dance’s usual program runs during the school year as an elective during the school day or after-school, and Girls Rise Up is an extension. I was inspired to launch Girls Rise Up because it creates an opportunity for girls we might not reach during the school year. Participants applied to our camp with an interest in dance, STEM, or both. We split the girls up into groups to brainstorm their best ideas for tech projects that will enhance their group dance. Instructors create a tech lesson based on each group’s project, while students construct the project and choreograph their group dance. At the end of the two weeks, the girls perform in a showcase, presenting all of their hard work. What kinds of changes do you see in the girls as they move through the programs? Do you have a favorite success story? I see an overall confidence boost in the way that they approach STEM, the way they express themselves, and their ability to collaborate with others in a small group. Students who did not consider it before walk away with a strong desire to go to college, and sometimes even a desire to pursue a STEM career, or at least continue coding in college while majoring in another field. One of my favorite stories is of a young lady named Yessenia who started our [STEM From Dance] program with a “too cool for school” mindset. At first it was challenging to get her to complete a task without complaining about how bored she was. She just didn’t seem into the program and was unwilling to really try. However, her mindset started to transform after a few weeks. We saw incredible growth both personally and academically. Yessenia returned to our program for three semesters and helped other students in class who struggled with coding. She began to take on roles of leadership and became someone who her peers admired. Can you explain why confidence is so important? What kinds of doors does confidence open for young women? Targeting confidence is a major factor of STEM From Dance. When I taught high school math [after college, for Teach for America], I found that one of the biggest challenges I faced was persuading my students to try, given their preconceived notions. It was challenging to teach when they were nervous to try. When confidence is lacking, students see everyone else as being better for the job without even considering themselves. I knew that whatever we did with STEM programming had to address confidence in some way, especially given the atmosphere our young people are going to be entering should they pursue a career in STEM. They’re going to be in workplaces and college classrooms where they may be one or one of few people of color, and they need an extra amount of confidence to persist in environments like that. We love hearing from people with whom our work resonates. There are several opportunities to get involved, from sponsoring a program to volunteering with our girls. You can contact us at info@stemfromdance.org. Watch a past performance below.